Mexican American Cultural Center, Austin Texas, November 1, 2008. 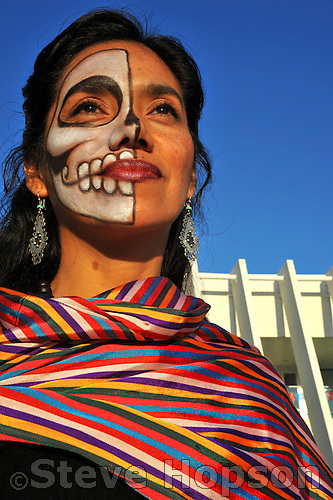 Yuyi Morales with a painted face at the Día de los Muertos celebration at the Mexican American Cultural Center in Austin Texas, November 1, 2008. Morales is an artist and illustrator of children's books.